The 2014 Stadium Series was yet another magical moment in time which took place outdoors at Soldier Field in Chicago. 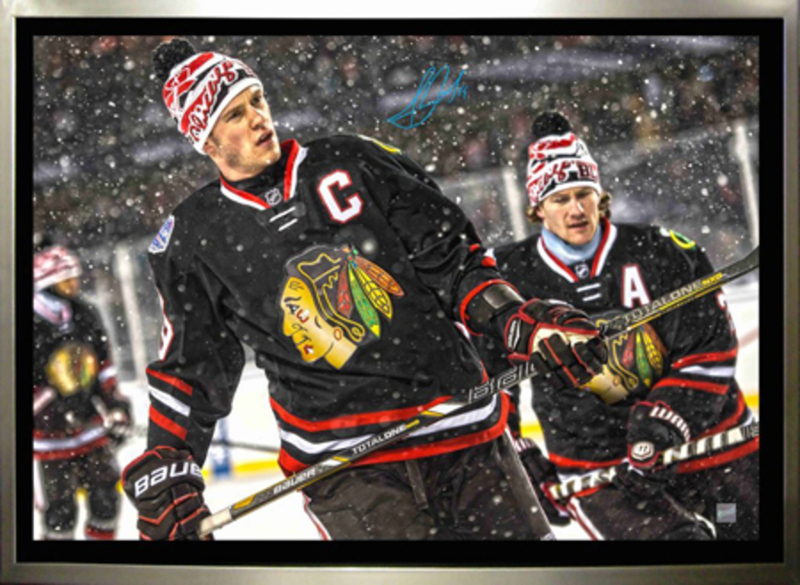 This stunning image of Jonathan Toews skating with Duncan Keith has been filtered to replicate the look of a panting, and comes printed on a textured gloss canvas. The canvas has been stretched and stapled on the back to a 3/4" deep wooden stretch bar and set in Frameworth's renowned framing. This canvas has been hand signed by Jonathan Toews himself. A certificate of authenticity is included with this piece. FINISHED SIZE 22" x 31"